Neil Stone, MD, the Robert Bonow, MD, Professor, has been selected to receive the 2018 Joseph Stokes, III, MD Award from the American Society for Preventive Cardiology for his achievements in preventive cardiology. Neil Stone, MD, the Robert Bonow, MD, Professor, has received the 2018 Joseph Stokes, III, MD Award from the American Society for Preventive Cardiology (ASPC) for his achievements in preventive cardiology. The annual award is bestowed in the honor of Stokes, a cardiologist and epidemiologist who served as co-principal investigator of the Framingham Heart Study starting in 1951. Stone’s research interests include lipid metabolism and cardiovascular nutrition. He has served on two of the National Heart, Lung and Blood Institute’s (NHLBI) expert panels on cholesterol since 1988, panels which are responsible for cholesterol guidelines that affect treatment for millions of Americans. In 2013, this effort was shifted to the American College of Cardiology and the American Heart Association, and Stone chaired the panel during the release of the most recent guidelines in 2013. Stone received the award in March at the EPI-Lifestyle 2018 Scientific Sessions meeting in New Orleans. Stone credits his mentor Jeremiah Stamler, MD, professor emeritus of Preventive Medicine in the Division of Epidemiology, as one of his inspirations. 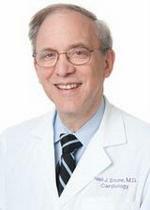 Philip Greenland, MD, is the Harry W. Dingman Professor of Cardiology, professor of Preventive Medicine in the Division of Epidemiology, director of the Center for Population Health Sciences at the Institute for Public Health and Medicine (IPHAM) and a member of the Robert H. Lurie Comprehensive Cancer Center. Darwin Labarthe, MD, PhD, MPH, is a professor of Preventive Medicine in the Division of Epidemiology. Donald Lloyd-Jones, MD, ScM, is senior associate dean for Clinical and Translational Research and chair of Preventive Medicine, director of the Northwestern University Clinical and Translational Sciences Institute, the Eileen M. Foell Professor, and a professor of Medicine in the Division of Cardiology. Yancy is also Magerstadt Professor and a professor of Medicine in the Division of Cardiology and of Medical Social Sciences.